Insurance lead generation firm InsuranceFiles.com will be attending the 2013 Alliance Conference and Expo on September 26-29 in Desert Springs, CA and will be located at booth #709. We’re excited to be a part of the lead generation industry, having worked in other parts of the insurance industry prior. Going to this conference gives us a great opportunity to introduce ourselves and establish lasting connections. Sophomore attendees and exhibitors of the Alliance Conference and Expo, InsuranceFiles.com continue to use events like these to grow their brand and their presence in the insurance industry. As the biggest property and casualty insurance conference in the Southwest with more than 1,000 attendees expected to come, Alliance makes for an ideal venue for InsuranceFiles.com to expand their reach and expose their products by following up with existing contacts and connecting with new ones. For InsuranceFiles.com, this year at the conference is particularly important. Getting ready to launch a new and exciting product, the lead generation company is using the conference as an opportunity to test the industry and predict how their new product will be perceived by insurance agents. Additionally, InsuranceFiles.com is excited to introduce two new account managers, Vivian Lerea and Yadira Chavez, to the playing field. “We’re excited to be a part of the lead generation industry, having worked in other parts of the insurance industry prior. Going to this conference gives us a great opportunity to introduce ourselves and establish lasting connections,” says account manager Yadira Chavez. Chavez and Lerea, along with Sergey Margaryan and Audrey Lee, will be using their expansive industry knowledge to network with conference attendees and broadcast their line of high quality insurance lead products. InsuranceFiles.com is an online insurance lead generation firm that specializes in exclusive and shared auto insurance leads. 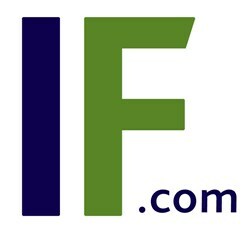 An easy to navigate website and expertly trained marketing associates brand InsuranceFiles.com as a trend setter. Their dedication to re-inventing the insurance leads industry greatly benefits the agents that work with them in the form of higher profits.